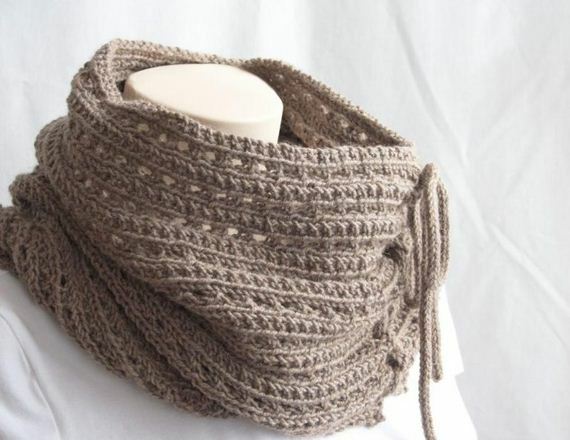 Sometimes the best cowl design is one that’s simple but cozy. The simpler the stitching pattern itself is, the bright a colour you can choose without having the two clash and look too busy. 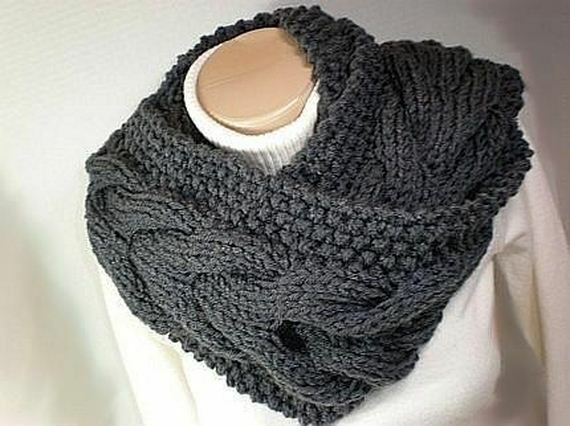 We love the thickness of this design because it keeps more than just your neck warm! It also goes down your chest and approaches your neck and face, making it easy to burrow into if you turn the corner into a gust of chilly wind. Speaking of simple, visually pleasing knitting patterns, check out how neat and tidy this gorgeous ribbing is! We love ribbing when it comes to cowls and scarves because it gives the garment a little bit of stretch, meaning you can wrap it more tightly when necessary. This ribbing pattern also shows off the colour variegation if you choose a yarn that’s hand dyed. 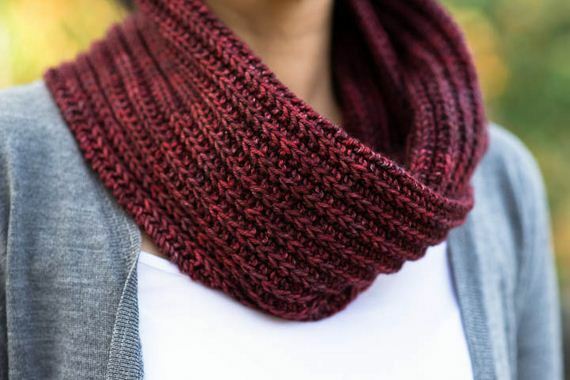 This gorgeously layered cowl features pretty yarn overs in a consistent pattern between solid seed stitch rows to create a pretty visual effect. Even better, however, is the fact that this cowl has added cord detail to make it look as though it ties all down one side. 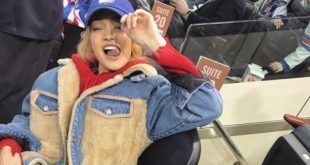 It gives the whole garment a Bohemian effect. 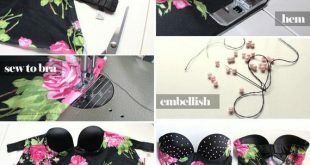 Few things are as great in the DIY world as being able to recreate something from a store so that you can enjoy the style without paying designer label prices. That’s exactly what this knitting pattern lets you do! We love the neat, even way that solid stockinette sits and we think you’ll love how thick the finished product here is. 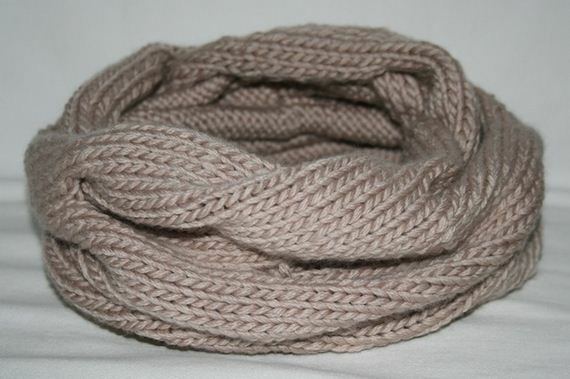 Not every cowl has to be knitted in lovely simple stitches. Sometimes it’s nice to have some more complicated patterning! Our favourite way to fancy things up is to add some cabling, like these big, chunky cables that loop through the centre of the one before. As if that’s not cute enough, the cables are bordered by seed stitch on either side. Perhaps you’re a perpetually chilly person who might not take the cowl off all day for fear of getting cold at work? In that case, you might want to have one that’s stylish enough to be incorporated into your actual outfit. We love the way this one looks like the collar of a cozy winter turtleneck thanks to the pretty wooden buttons. 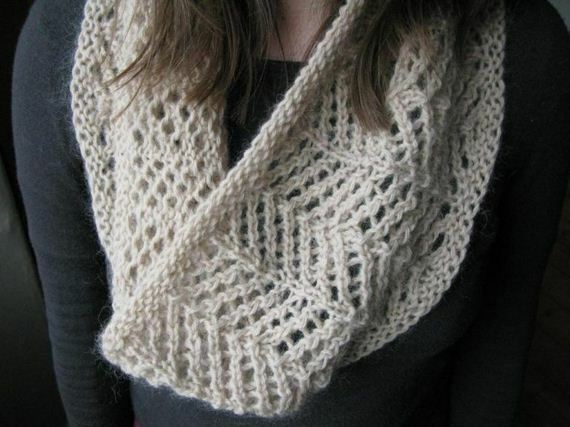 Perhaps you much prefer knitting with lace weight wool rather than aran or chunky? 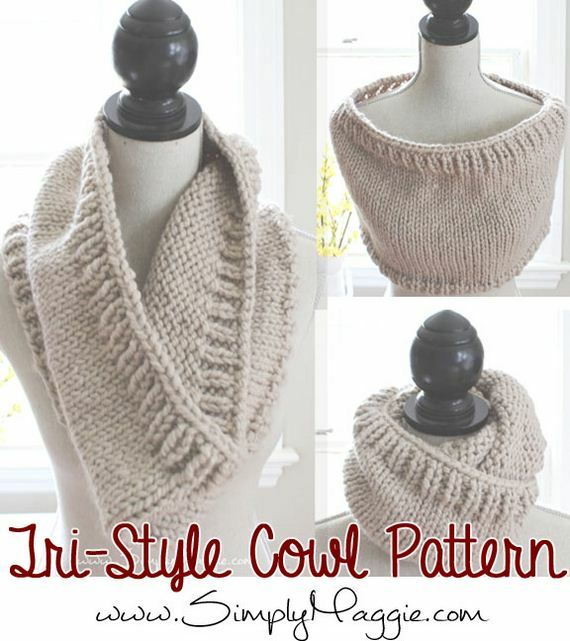 There are cowl patterns out there for you too, and they’re absolutely gorgeous! Many people actually prefer wearing lace weight as well instead of piling on layers of thicker wool until your face is half hidden by cowl. This pattern is so pretty that it might be worn to formal winter events in the winter. 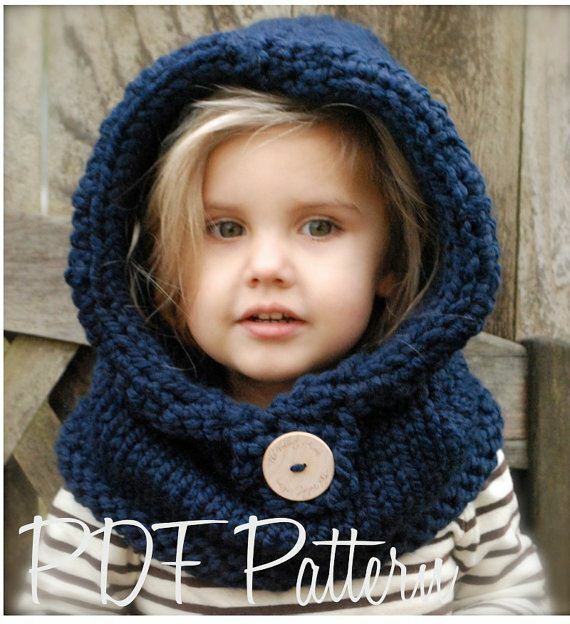 This adorable cowl is definitely one for the colder people you know, no matter their age or size. Rather than just featuring the collar part to keep your neck and shoulders warm, this design also features a hood for when the wind picks up a little too much. We love the button too and we think that adults and kids alike will appreciate it when it comes to bundling up before they go outside. 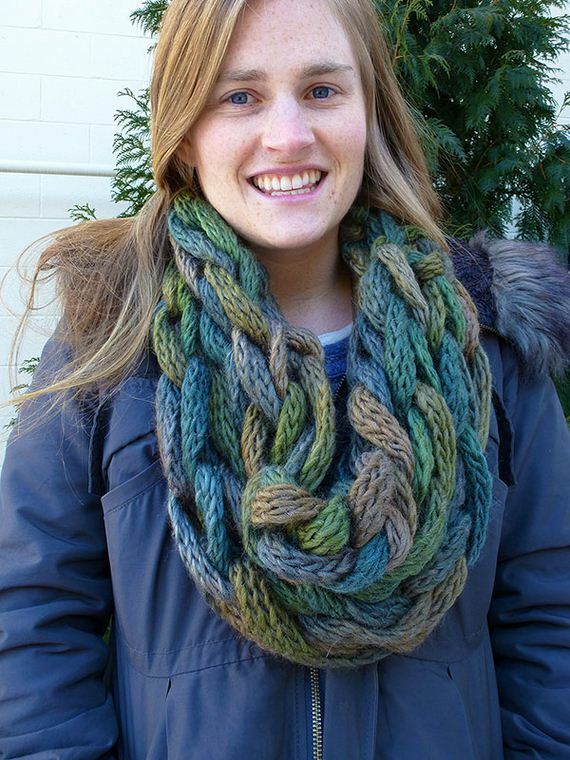 This cowl is called a “tri-style” cowl because you can wear it in three different ways. If you ask us, each way is just as stylish as the last! 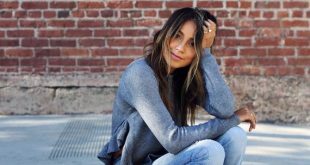 Wear it loose like an infinity scarf, low over your shoulders like a shawl, or wrapped more tightly to keep your neck warm. Perhaps you’re an experienced knitter who’s looking for something a little different this fall but you still want to make a cowl? 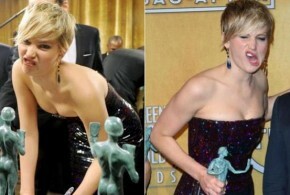 Then you’ll probably love the new arm knitting trend that’s been sweeping the Internet and the knitting world alike! You’ll especially like the braided result if you like to be very cozy, as arm knitting tends to create a very bulky garment. 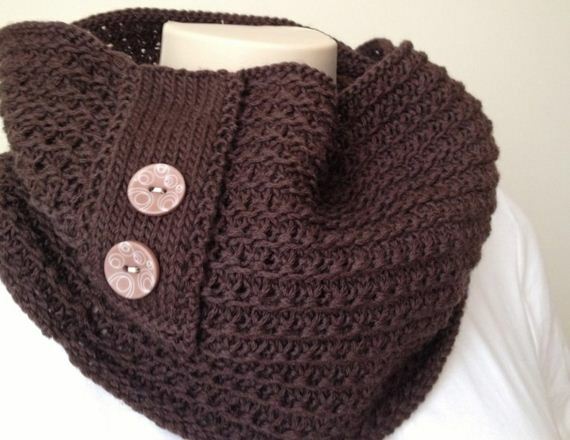 Are you looking for a cowl that’s more of a fashion statement? 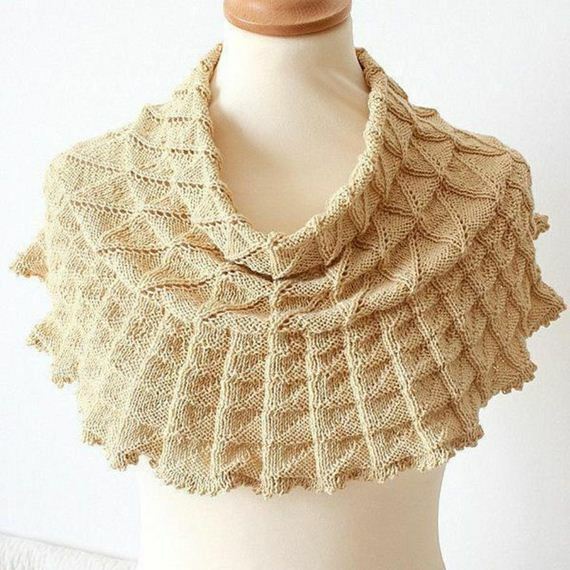 Then you definitely need to see this breathtaking cowl that is reminiscent of Victorian lace collar. 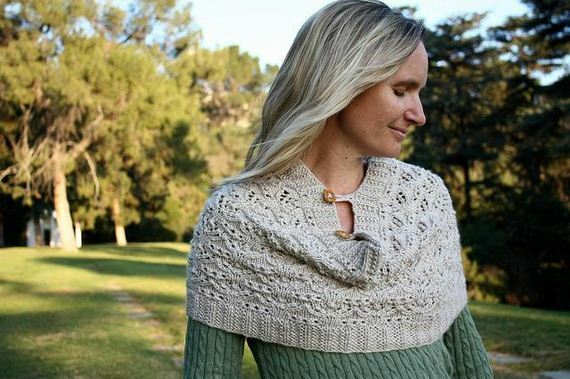 This pattern is definitely intended for very experienced knitters as it takes a lot of time and counting, but the stunning final product is more than worth the effort it takes. 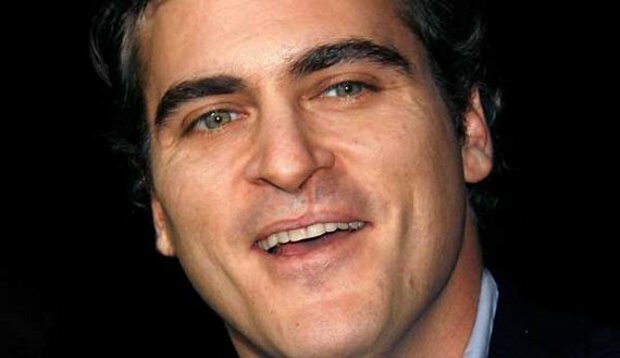 Perhaps you want a pattern that’s somewhere in between the simpler ones on this list and the more intricate patterns you’ve seen. There’s nothing wrong with a big of balance, right? Well, this pattern is the one for you! You’ll spend most of the pattern knitting easily, but you’ll alternate with a few rows of purling to give the cowl a ridge every few rows. Maybe yo loved the other lace patterns you saw here but they’re just a little bit too advanced for you in terms of technique? 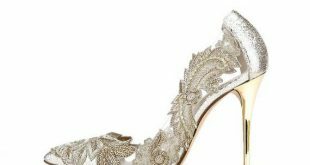 Start with this simpler lace design instead! 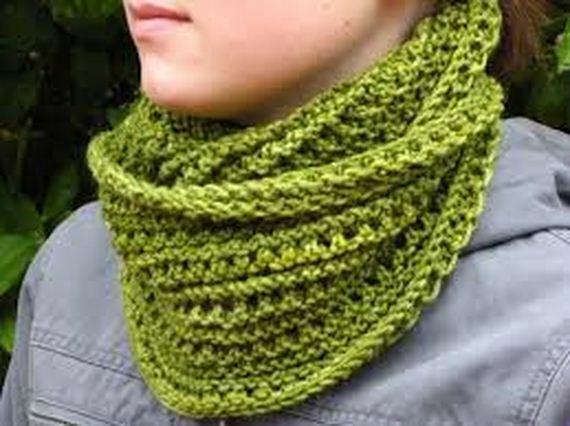 It’s the perfect transition piece from chunkier cowls to lace collars and garments of all kinds. 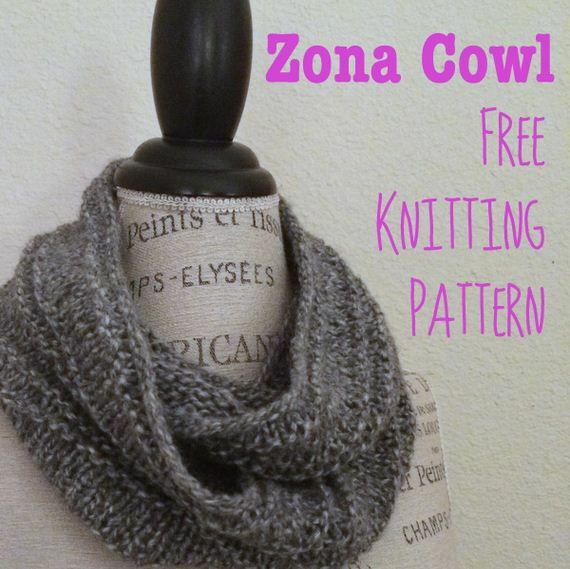 At first glance this adorable cowl might seem simple but if you look closely, the lines are actually knitted so that they angle in very subtle diagonal stripes. Because you’re knitting the cowl in the round, however, the pattern creates a swirling effect once you’ve wrapped it around a few times. We love how versatile that feature makes the piece! 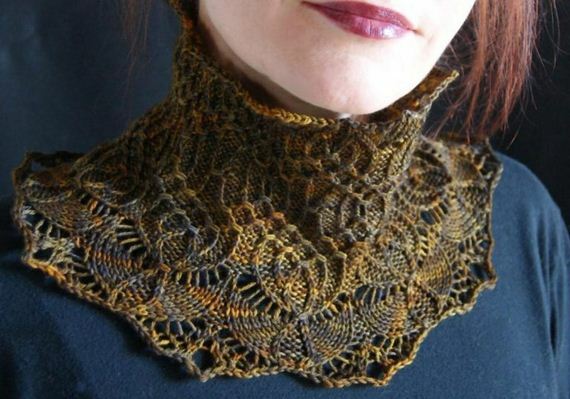 This beautiful cowl isn’t quite a lace pattern, but it’s certainly got all the beauty and intricacy of one! 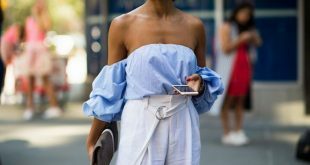 We adore the collar and buttons at the neck and can definitely see this being purposely worn all day as an intentional part of a nice outfit, rather than just as an outer garment that you throw on and then take off the second you get inside.